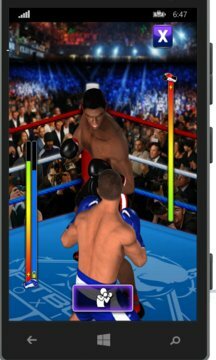 -Boxing.free is a Windows Store and a Windows Phone game where you are boxing vs a computer player which player gets harder to beat during the game. -There is a help menu with the movements you can do during fight. -Sometime you can knock down the other player or even knocked down but you have to fight until one of the players is knocked out.